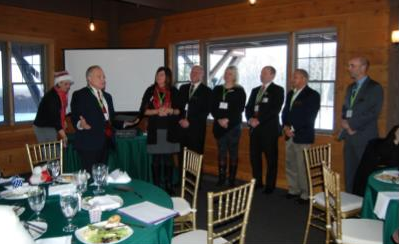 BRUNSWICK, Ohio – The Northern Medina County Chamber Alliance (NMCCA) celebrated a successful year at a recent holiday luncheon at Mapleside Farms in Brunswick, where new board members were sworn in, and a new president took the reins. In its first official year as the Northern Medina County Chamber Alliance, the organization successfully transitioned itself into a more engaged, community-focused entity. “2016 has been a monumental year for the Northern Medina County Chamber Alliance. The final pieces of the merger with Valley City and Brunswick Chambers has brought a new vision to the Chamber,” said Terri Hradek, director at Cuyahoga Community College, Brunswick University Center, and outgoing chair of the board. “As we’ve become more familiar with our membership, we’ve really begun to build a foundation for our future in terms of growth and value to our membership. This year has seen the formation of many new committees and initiatives dedicated to bringing even more value to our businesses in the community,” stated Hradek. Merging the chambers meant more than just a new name. Under Hradek’s leadership, the alliance formed committees, such as programming, business advocacy and ambassador committees. The organization also saw a rejuvenation of its non-profit charity organization, Chamber Charities, and partnerships with Medina County Economic Development Corporation and the City. The chamber also added a part-time membership coordinator and cost saving programs for healthcare, energy and office supplies. The newly-sworn in 2017 Board is excited to continue to expand NMCCA’s initiatives and capabilities for both its members and the local community. 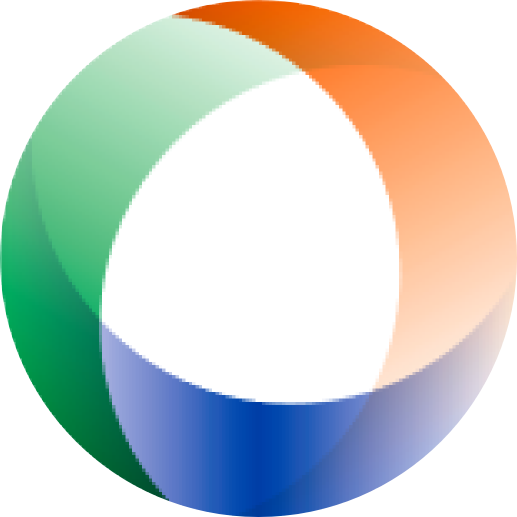 “I look forward to building on the foundation that Terri, Melissa and the board of the NMCCA built this past year,” said Mark Priebe, president, Proximity Marketing, and incoming chair of the board. “Our priority is to create an engaged Chamber of Commerce that works to advance the greater interests of our communities and amplifies the value of our terrific member companies and organizations,” stated Priebe. Medina County Commissioner Tim Smith swore in the new board during the recent luncheon. For more information, visit the Northern Medina County Chamber Alliance website or follow on Facebook. The mission of the Northern Medina County Chamber Alliance is to strengthen our community by providing economic opportunities and support through leadership and ongoing communication for members doing business in the Northern Medina County area. Medina County Commissioner Tim Smith swore in the new Northern Medina County Chamber Alliance board with Melissa Krebs, president/CEO, Northern Medina County Chamber Alliance, setting up a presentation in the background. (L-R) Krebs, Smith, Outgoing Chair Terri Hradek, Incoming Chair Mark Priebe, Kimberly Corrigan, Albert Matyas, Ed Gonzalez and Andrew Waite.